Help us thank our November and December ARTISTS for sharing their time and talents with hundreds of people in our community who live with special needs and/or circumstances. See our full calendar of November programs here. See our sponsors and funders at the bottom of this e-news. Caregivers, consider bringing your care partner(s) to a program so they can enjoy the social, emotional, intellectual and physical benefits of creative engagement with others. Please email us so we can make arrangements. Our favorite time of year is drawing near! We hope you'll plan to join us for some holiday fun. Bringing Generations Together. There was a time when generations were more connected. Technology is changing all that, and it's common to see children and teens spending their social time with peers over every other age group. This blog sorts out where, why and how we can make important inter-generational connections thrive. Donations are investments that help us develop new education, advocacy and outreach programs. Our mission is to enhance wellness in people with special needs or circumstances, through the healing power of the arts. 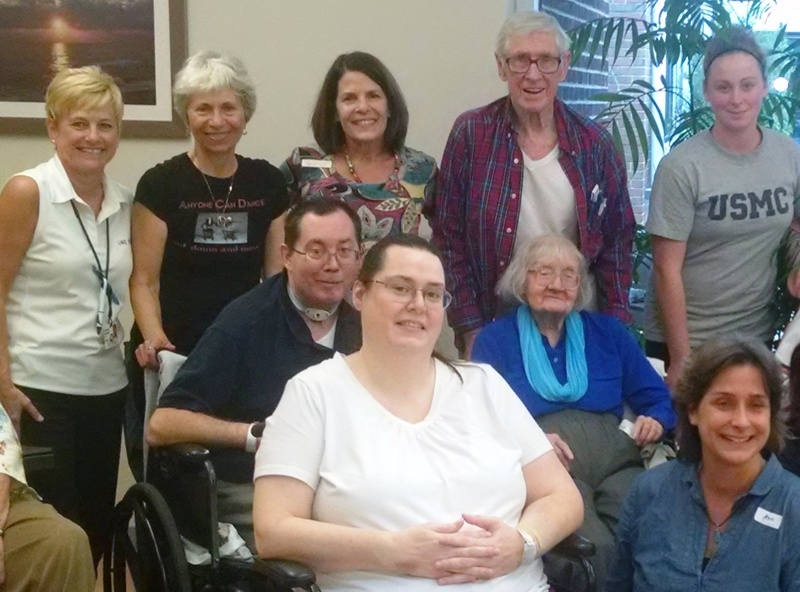 Our vision is to see our community's elderly and disabled members, and their caregivers, treated with dignity and respect, and to know they're getting the level of community support and recognition they so richly deserve and so greatly need. Volunteer here. It takes a village, friends. Volunteers help in the TAO office, at programs, and in the community. View our volunteer opportunities here. Artists and volunteers, we want to share your program stories. Did you have an "aha moment?" 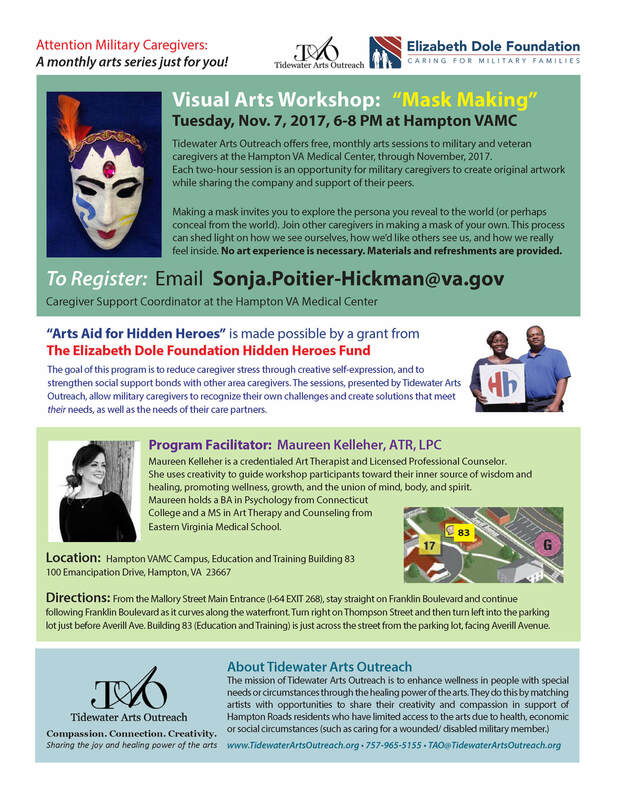 Email a brief recap to Anna@TidewaterArtsOutreach.org, or post and tag #TidewaterArtsOutreach on social media. Help us give your good works a wider audience. Thank you.